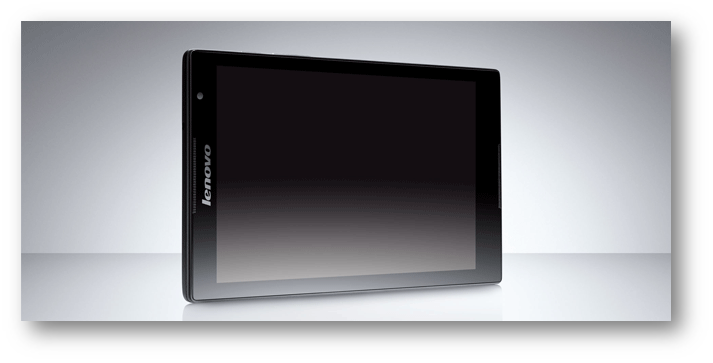 Today Lenovo made a huge announcement at the 2014 IFA Consumer Electronics show in Berlin. This year was all about tablets, PCs, All-in-One Computers, dedicated gaming PC machines, and smartphones. Lenovo kicked off their lineup with the TAB S8. TAB S8, is Lenovo's first 8-inch Intel Atom Processor tablet, which is powered by Android and blends a beautiful crystal clear infinity screen with powerful productivity in a thin and feather light frame. Lenovo’s TAB S8 is created for consumers who are looking for a stylish, slim and affordable Android tablet starting at just $199. At 8-inches, the TAB S8’s 1920 x 1200 infinity screen is sharper than FHD, while the One Glass Solution touch-panel technology provides a crystal clear viewing experience. The tablet’s ultra-slim bezel seamlessly merges the screen with the dark front panel, giving the TAB S8 a sleek, clean look. The front panel also features a 1.6-megapixel HD camera for easy video chatting. If you turn the beautiful Lenovo TAB S8 around it will reveal an 8-megapixel rear-facing camera. The wide aperture f2.2 lens snaps sharp photos, even in low light. Pre-installed apps, like SHAREit, allows for easy and safe photo and file sharing. The Lenovo TAB S8 marks Lenovo’s first 8-inch Android tablet powered by an Intel Atom Z3745 processor with Intel Burst Performance Technology, the TAB S8 dynamically matches processing power to the task at hand in order to maximize battery life without compromising speed in a thin and light design. The TAB S8 weighs around 0.65 pounds and 0.31 inches thin, nearly as thin as a standard pencil. Additional features include optional high-speed LTE (4G) connectivity which is actually based on Intel XMMTM 7160 chip and Wi-Fi for data connectivity, up to seven hours of battery life to keep users cord-free, and 64-bit technology compatibility. The TAB S8 runs Android 4.4 KitKat, includes 2GB of RAM, 16GB of storage, Bluetooth 4.0 and Dolby-enhanced dual front speakers.